Do you feel led to go on a mission to help others? SHINE is a non-profit Christian organization dedicated to helping heal bodies and nurture souls in needy countries while serving God through medical, dental, and evangelical work. 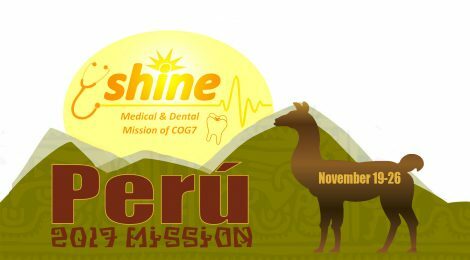 In November SHINE will be conducting a mission in Peru. If you feel the Lord wants you to be included in this mission, please first read the Requirements to understand what will be expected of all team members. Then fill out either the English or Spanish application form completely. Make sure your application is returned to the designated email address within the time frame given. Please remember that complete applications returned earlier will be given more consideration. Every team member must have this application completed and returned within the allowed time frame. If you have questions, contact information is included on the application. May the Lord’s will be accomplished in the selection of this team to Peru!